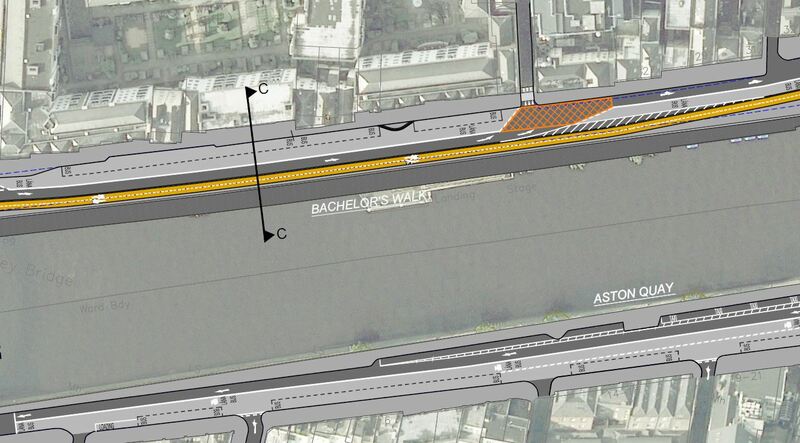 — Push to keep cars on Bachelors Walk with buses detoured from College Green causes extra squeeze. 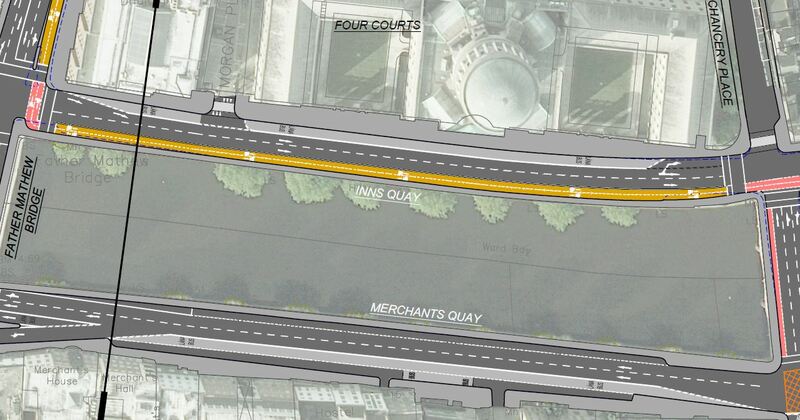 — College Green / Luas Cross City bus priority measures around the quays included in latest cycle route drawings. — Links on/off cycle route unclear or missing. — Planned and possibly existing trees removed on larger scale. 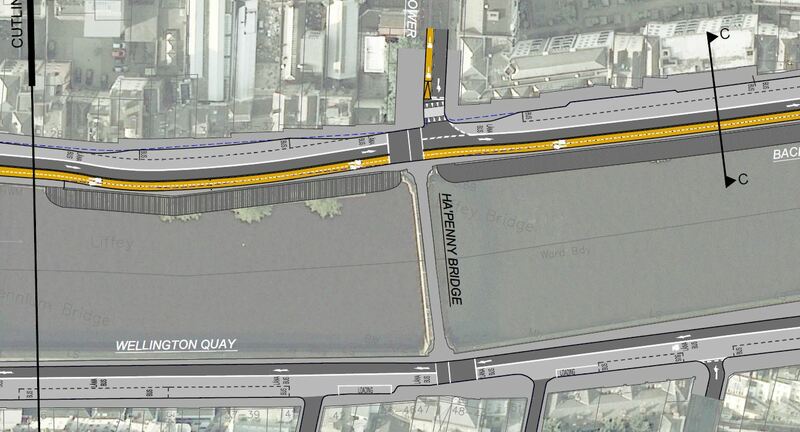 COMMENT & ANALYSIS | LONG-READ: Recently we covered how the planned Liffey Cycle Route backstreet detour around the Smithfield area gets around pinch points by using footpaths and we also had an in depth look at the backstreet detour, but that’s not the only issue for the route. Our examination of the central section of the route starts at Inns Quays at the Four Courts and goes east towards Library Hall. It should be stressed that unlikely many of flaws in the Smithfield section, the issues here are overwhelmingly fixable, although political will is needed. 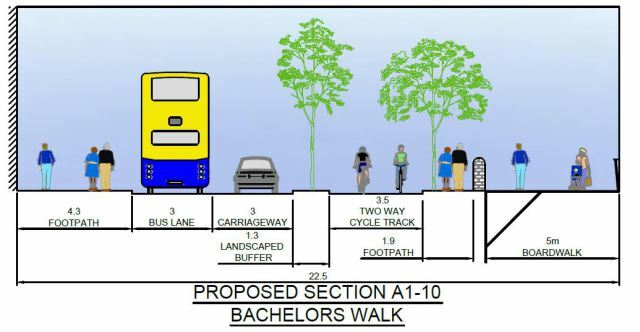 The new drawings, released under a Freedom of Information request, also show the bus priority measures on and just off the quays, which are promised as part of of the Luas Cross City and College Green Plaza projects. 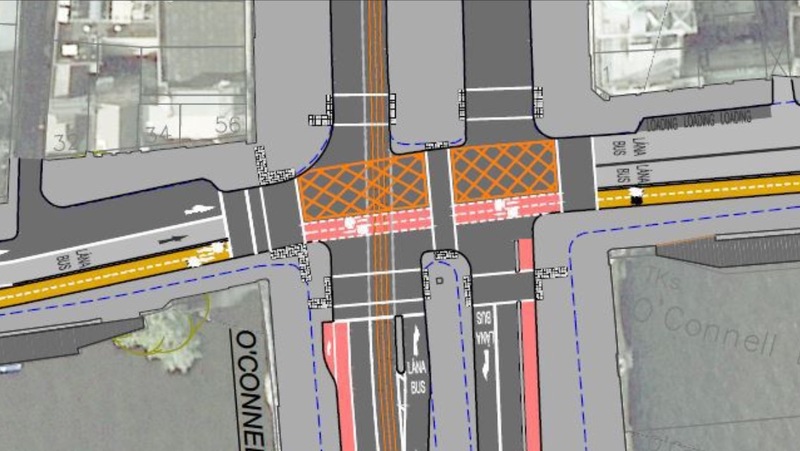 Jervis Street won’t be able to handle large volumes of extra traffic and, even if it was, very large extra volumes turning off the quays would block buses on the quays. 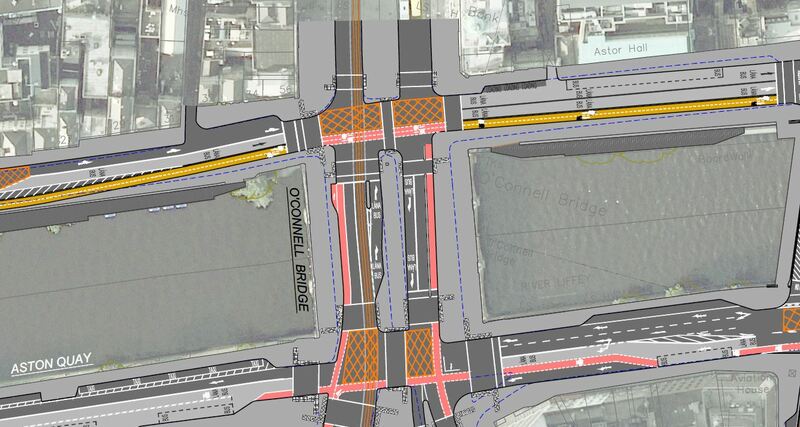 Private traffic will not be able to travel onto or past O’Connell Bridge, motorists will only be able to turn into O’Connell Street (the bottom half of which will be shared with buses and trams running on-street). 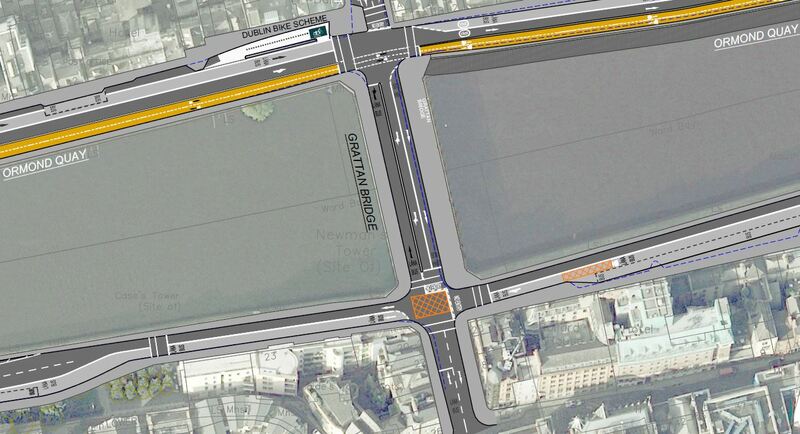 So, what exactly is the need for two traffic lanes at the Four Courts? Getting in the way of buses and having false capacity to feed more traffic into the streets ahead when no route ahead can handle much traffic? Retaining the two lanes seems to be more about the optics of providing for motoring, rather than providing for motoring in any notable way. On Ormond Quay, west of Capel Street, the route seems to be reasonable. At Grattan Bridge (also known as Capel Street bridge) is links Capel Street and Parliament Street. 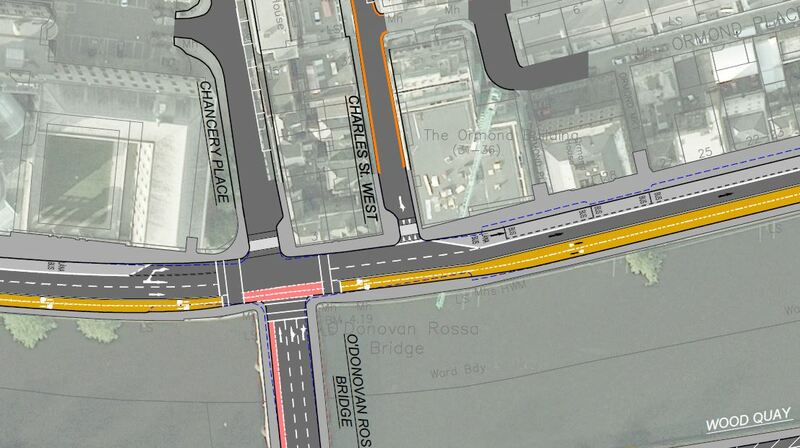 In this image we see some of the first of the private motoring restrictions previously not shown on the Liffey Cycle Route drawings and not really part of this project but linked to Luas Cross City and the College Green Plaza. 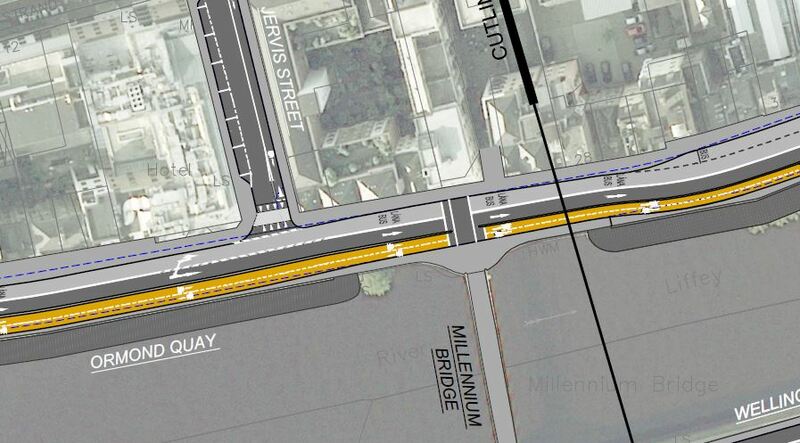 These are: a bus-only Parliament Street, three of the two lanes on the bridge changed to bus lanes (including a contra-flow bus lane), and new and extended bus lanes on the south quays. 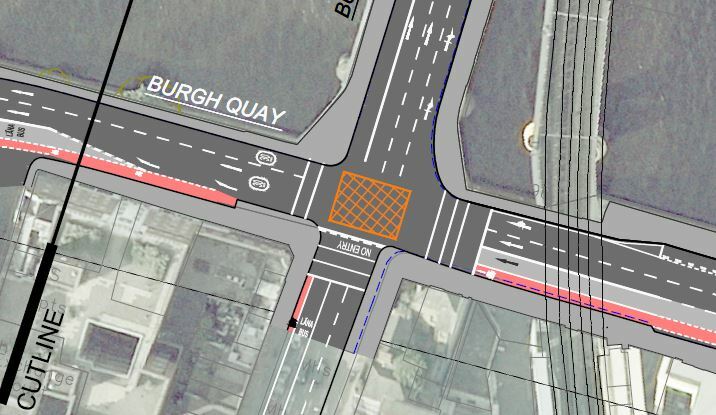 Because extra bus routes will be diverted onto the quays, this means this means more bus stop space will be needed past the Millennium Bridge. 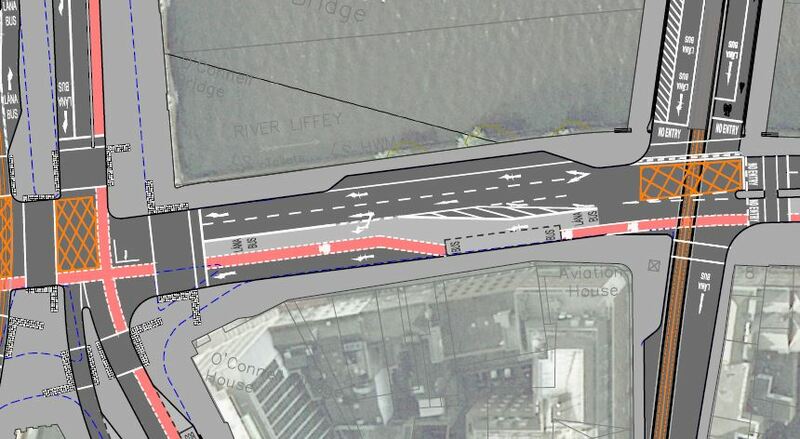 The original plan for Luas and the College Green Plaza bus diversions was to have a bus-only section of the quays starting well before O’Connell Street, but lobbying pressure from the retail / car park owner’s demands on allowing cars up to O’Connell Street won out. Are there better ways? 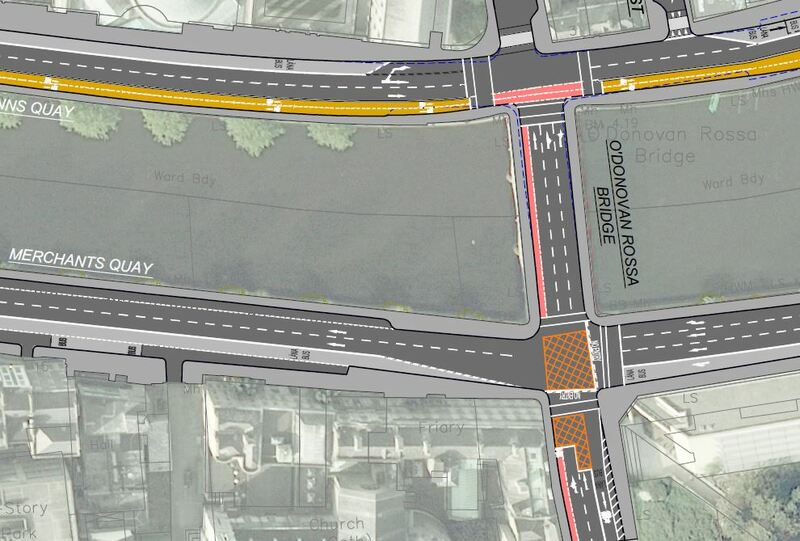 Can just a small bit of the new footpath space on the less-busy east side of the bridge (right hand footpath here) be used for a two-way cycle path line to Westmoreland Street and onto College Green? 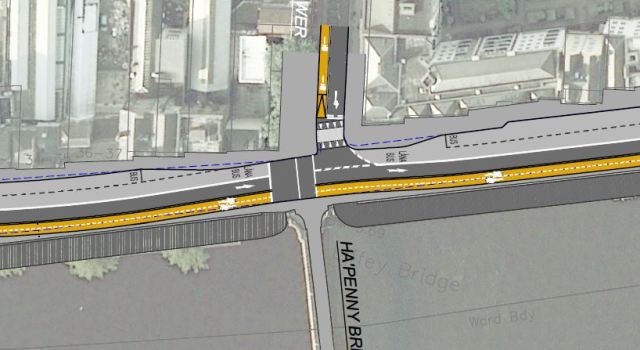 Should a two-way cycle path via D’Olier Street and College Street be looked at? 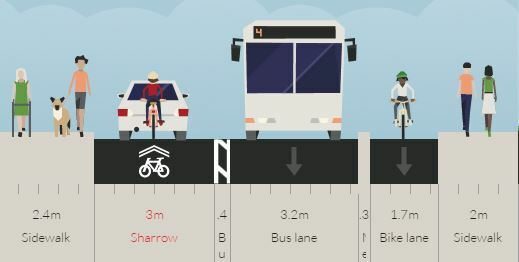 Overall there’s a lot in the route but key to making it work is getting junctions to work — allowing cyclists to get on and off the route without dismounting or sharing space on footpaths. The FOI files can be viewed on Google Drive here. This looks like the minority who own and use the car parks in this area are holding up real progress by continuing to remain in the last century in their sheer bloody mindedness. Providing for motor cars only just keeps encouraging it. Why should Dublin City Council continue to pander to this minority ? The majority of people accessing area travel by other means besides the private motor car, yet they are the ones who are being squeezed out. The business lobbies rant on about paying rates, ignoring that the people of the city also pay taxes and charges too. The council seems to be afraid to show real leadership here by actually standing up for the needs of all the citizens of the city. 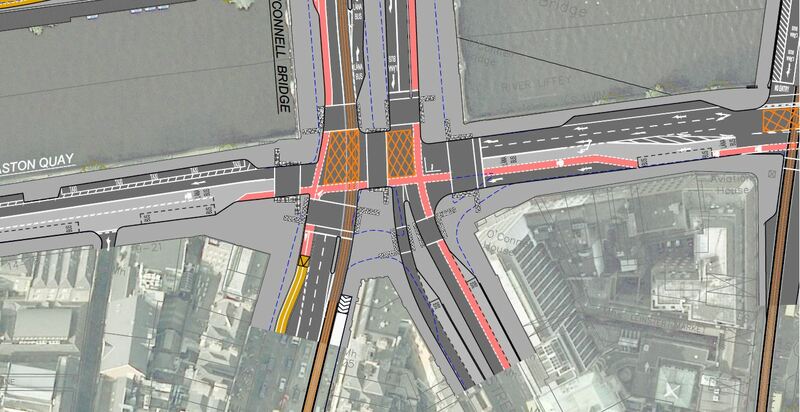 AS it currently stands, the cycle route is not good enough. There are too many missing links and dangerous junctions. Also taking down existing trees and deciding against planting the proposed new ones in order to facilitate motor vehicles is ridiculous and environmentally regressive. If the majority of road traffic goes downriver on the Northside and upriver n the south side, why are there no plans to have single lane bike lanes north and south travelling with the traffic, like Copenahgen.